The EMPOWERED TO INFLUENCE (ETI) Course will benefit every believer, but especially those who are in the workplace. This is a four-session facilitated course that uses videos of Singaporean businessman Ken Chua. 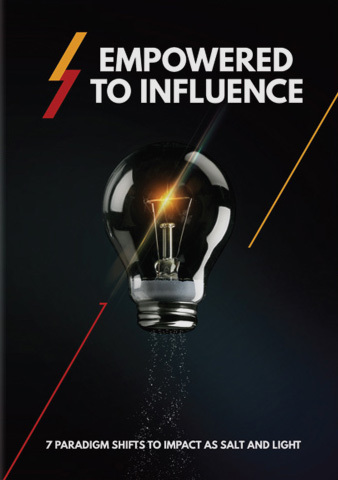 Ken teaches on seven paradigm shifts that need to take place for every believer to become effective salt and light for God in their places of influence. A preview of the course can be found on youtube. take on new biblical paradigms to live effectively as salt and light that impacts their spheres for God's glory. see their everyday vocation in life as a platform to live out their call for God’s Kingdom. appreciate how they can impact nations for God.